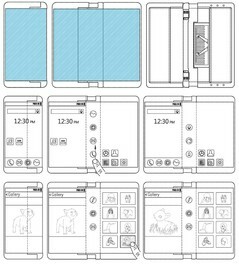 LG has applied for a patent with the United States Patent and Trademark Office (USPTO) and the World Intellectual Property Organization (WIPO) for what is innocuously titled “electronic device.” The drawings included in the files show a foldable device that utilizes a spring-loaded hinge to turn a regular-sized smartphone into something that more resembles a tablet. 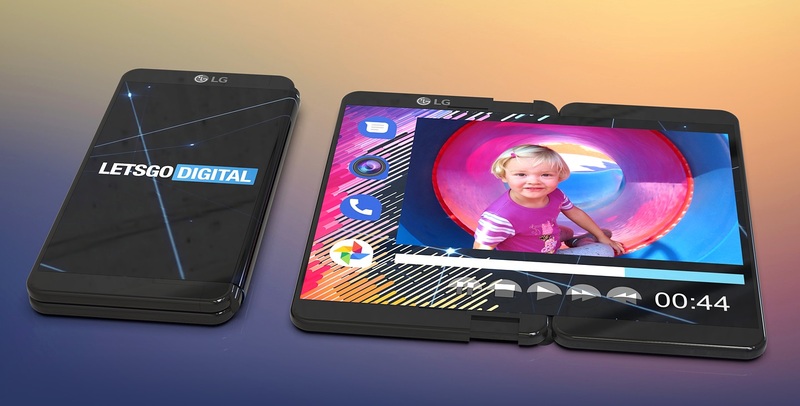 USPTO and WIPO filings uncovered by LetsGoDigital have offered up an idea of what LG could be up to in regard to foldable technology. It seems designers at the South Korean conglomerate have been busy coming up with ideas for the company’s entry into the foldable smartphone market, as we have already reported on the rumored “Bendi” concept and more recently on the intriguing “rollable” foldable device. 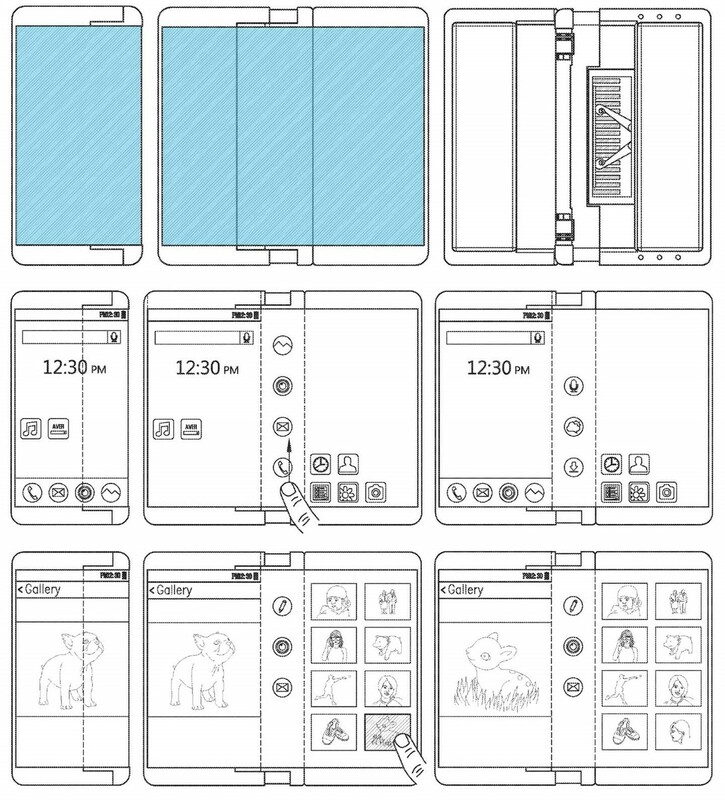 This time, the patent reveals a more straightforward but still unique idea for implementing the foldable mechanism into a smartphone. In this case, the user starts off with a regular-looking smartphone that has a bezel on the left side and edges for the hinge on the right side. By pulling the rear part of the device and engaging the hinge mechanism, the smartphone folds out neatly into a more tablet-sized device, and presumably the hinge will lock into position until the user refolds it again. 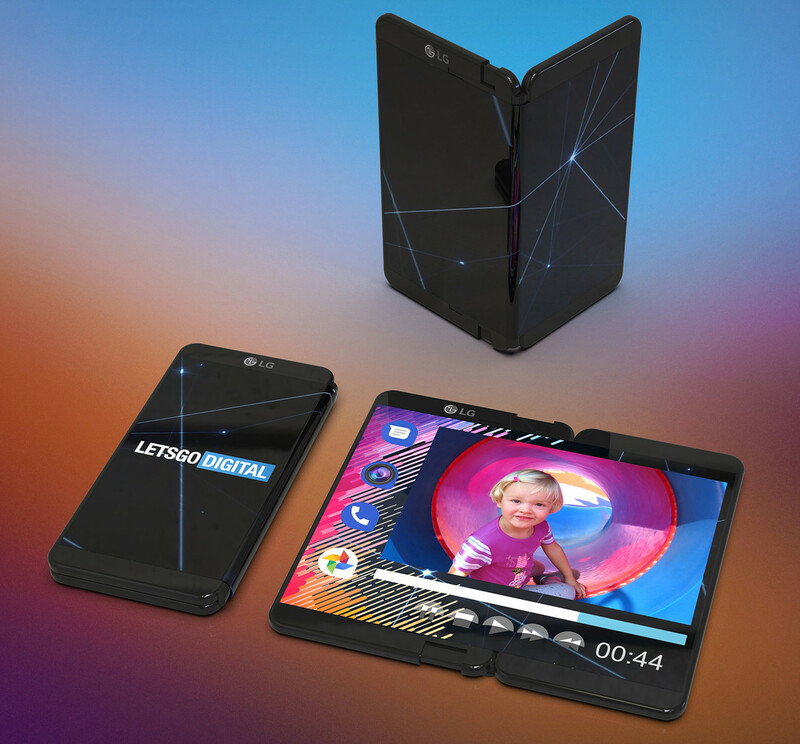 Using this method allows LG to use one large display rather than multiple displays for the foldable smartphone. The unfolded screen can be used as one large screen for media consumption or it can be used as three separate displays, with the small central section showing frequently used apps. The right-hand side of the device folds under the left side leaving a somewhat chunky handset, which visually demonstrates the next likely race among smartphone manufacturers: Ever-decreasing foldable-smartphone thickness.